Alta5 provides everything you need to automate your personal trading. 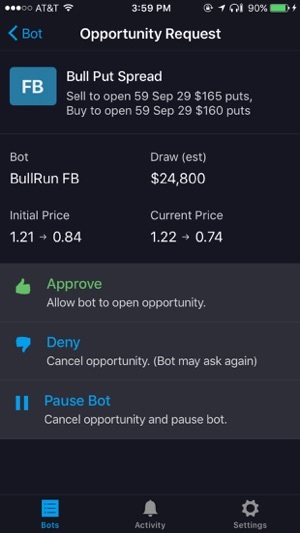 • Start, monitor and interact with bots that watch and trade the market on your behalf. • Stay informed of your bots' activity with push notifications. • Connects with your existing online brokerage account. • Create your own personalized trading strategies @ alta5.com. • Full automated trading with support for equity, options and spread trades. 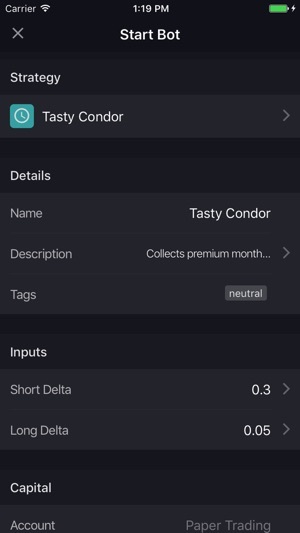 The BotOS 2.0 update is all about control. 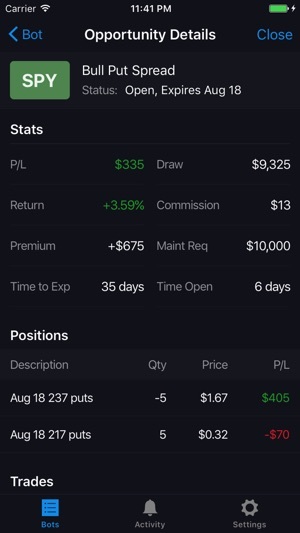 It redefines what is possible with Alta5, adding new bot control panels that you can customize with buttons, switches and readouts to trigger trades, interactions, reports, etc. 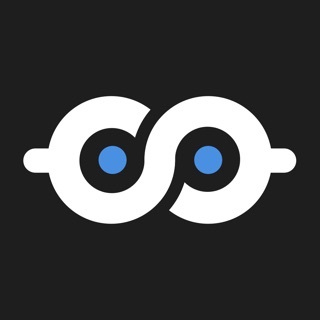 Great app & great pre-made strategies! 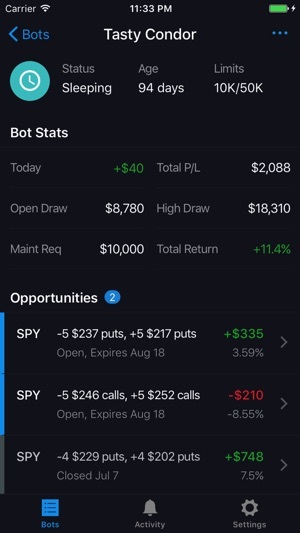 Definitely created an interest in learning about options & option strategies after the success of this app. Back end registration is dead. Useless. 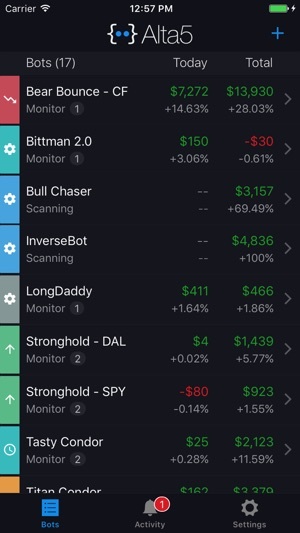 This is the best (and only) app available that allows for trading options and stocks automatically with bots. Intuitive, easy to use and allows you to trade without constantly monitoring the markets. Clever features like the ability to temporarily avoid trading during times of announcements or earnings are the icing on the cake.